This is Josh Cooper. Josh joined Harp Academy while he was in KS1 at All Saints CE Primary School, Horsham. As with all Harp Academy newcomers, Josh started out playing a 4 hole Hohner Speedy harmonica, which gave him all the notes of the C major scale. With just these eight notes he learned to play a range of popular melodies from Star Wars to Wimoweh. He then explored classical tunes such as Brahms Lullaby and The Can Can, Christmas carols and a variety of rock and pop hits. He also practised his scales and exercises, enjoyed playing musical games and developed an understanding of the musical elements from the national curriculum for music. The harmonica gave Josh a sense of confidence and self-identity, and he developed a strong appetite for music. He could take his harmonica everywhere and he soon plucked up enough courage to enter the national harmonica music competition in Bristol. Josh took first place playing Doe A Deer from The Sound of Music, still on his original 4 hole harmonica. His delivery was strong enough to warrant a spotlight in the evening’s professional show, which you can watch here. And yes he had one arm in a sling. Two weeks before the competition Josh took a tumble in the school playground and broke his forearm. He remained defiant however, and the injury didn’t stop him doing his best to shine. As Josh entered KS2, his love of the harmonica was undiminished. He graduated to the 10 hole Suzuki Airwave harmonica, and eventually a conventional Hohner Special 20. His repertoire grew too. By now he was playing Somewhere Only We Know for Christmas assembly, several chart hits including Ruby by The Kaiser Chiefs, and Jesu Joy by JS Bach. He took these two particular pieces and entered the national harmonica festival a second time, coming first in two separate sections – Rock & Pop and Melodic harmonica. Here is Josh a year later at the July 2013 Horsham Garden Music Festival playing Morning Has Broken. Josh eventually left All Saints and started his secondary education at The Forest School, Horsham. Although he could no longer attend Harp Academy, Josh continued 1:1 harmonica lessons, strengthening his ability to bend notes, mastering other advanced techniques and exploring blues, jazz and country music styles. One tune in particular enabled Josh to express his love of blues music; Double Crossed And Blue, by Steve Baker. There was little doubt that Josh would want to study music to GCSE level. But by now there was a real risk his interest in the harmonica could wain. He might even be obliged by the examination board to take up a more conventional instrument. Fortunately neither proved to be the case and Josh stuck to his guns. In a bold move, he picked a harmonica version of the jazz classic Me & My Shadow by Frank Sinatra and Sammy Davis Junior for his GCSE ensemble piece. You can watch Josh and Richard Taylor working on the song here. Execution of this jazz piece not only involves excellent timekeeping and jazz phrasing, but a proficiency in the most technical of modern harmonica skills – overblows. This is where, by carefully preparing the instrument and employing a special embouchure, players bend reeds upwards to locate semitones (rather than lowering them for that signatures bluesy sound we associate with the harmonica). 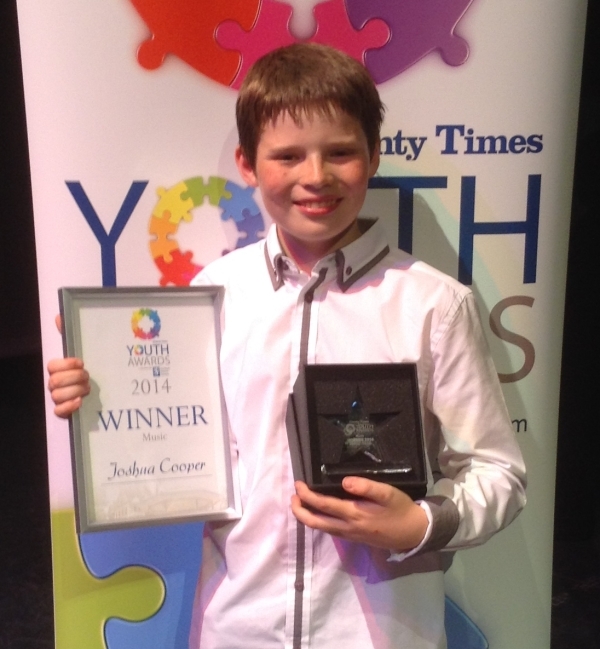 To finish the story, Josh’s presentation piece achieved top marks, contributing to his overall A Grade in GCSE Music. We have heard through the grapevine that new GCSE music examination board rulings may preclude the use of harmonica in future GCSE course work. This is because evidence of a graded level of instrument ability will be expected. 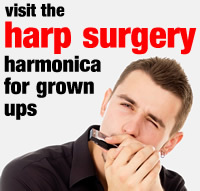 And as graded harmonica exams do not currently exist in the UK, we may have reached a temporary impasse. Harp Academy is actively seeking a solution to this development however, and is in talks with an established London music board that is sympathetic to ‘minor’ musical instruments. Once we make further progress, make no mistake, we will be announcing it as loudly as we can! In the meantime, we hope this case study gives a clear idea of what is possible in terms of personal and musical development using the humble harmonica. Harp Academy has seen many vulnerable children discover a brave and exciting new world through music making on the mouth harp. Blindness, selective mutism, speech and articulation disabilities, asthma, autism, deafness and plain shyness have been embraced and conquered; and full credit goes to each individual concerned. But let’s make no mistake, this is not only of long term benefit to the individual him/herself. 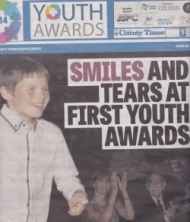 It’s also a beacon for their families, the wider school community and music itself. Long may the harmonica be a conduit for freedom of expression, peace, joy and inclusion.